5 Suzuki T., Takemoto T. I., Kashiwazaki H., Miyama T., Metabolic fate of ethylmercury salts in man and animal. Mercury, Mercurials, and Mercaptans ,Ch 12; 209-233. Miller M. W., Clarkson T. W., eds. Springfield: Charles C. Thomas, 1973. 6 Halsey N. A. Perspective on the use of thimerosal-containing vaccines. Presentation at the National Vaccine Advisory Committee Workshop on Thimerosal and Vaccines, August 11-12, 1999. Institute of Vaccine Safety website; www.vaccinesafety.edu. 7 Egan, W. M. Thimerosal in Vaccines. Presentation to the FDA, September 14, 1999. 18 Fagala G. E.,Wigg C. L. Psychiatric manifestations of mercury poisoning. J Am Acad Child Adolesc Psychiatry 1992; 31(2): 306-311. 21 O’Carroll R. E., Masterton G., Dougnall N., Ebmeier K. P. The neuropsychiatric sequelae of mercury poisoning: The Mad Hatters disease revisited. Br J Psychiatry 1995; 167(1): 95-98. 38 Grandjean P., Weihe P., White R. F., Debes F. Cognitive performance of children prenatally exposed to “safe” levels of methylmercury. Environ Res 1998; 77(2): 165-172. 45 Farnsworth D. Pink Disease Survey Results. Pink Disease Support Group Site, 1997; www.users.bigpond.com/difarnsworth . 53 Manser N. Neville’s (a Pinkie) Recollection of Pink Disease. Pink Disease Support Group; www.users.bigpond.com/difarnsworth. 60 Courchesne E., et al. More evidence links autism, cerebellar defects. reviewed in Autism Research Review International 1994; 8(2): 1,7. 72 Lorscheider F. L., Vimy M. J., Summers A. O. Mercury exposure from “silver” tooth fillings: emerging evidence questions a traditional dental paradigm. FASEB J 1995; 9: 504-508. 92 Alberti A., Pirrone P., Elia M., Waring R. H., Romano C. Sulphation deficit in “low-functioning” autistic children: a pilot study. Biol Psychiatry 1999; 46(3): 420-4. 97 Williams M. V., Winters T., Waddell K. S. In vivo effects of Mercury (II) on deoxyuridine triphosphate nucleotidohydrolase, DNA polymerase (a,b), uracil-DNA glycosylase activities in cultured human cells: relationship to DNA damage, DNA repair, and cytotoxicity. Mol Pharmacol 1987; 31(2): 200-207. 106 Comi A. M., Zimmerman A., et al. Familial clustering of autoimmune disorders and evaluation of medical risk factors in autism. J Child Neurol 1999; 14: 388-394. 129 Uproar over a little-known preservative, thimerosal, jostles U.S. hepatitis B vaccination policy. 1999 Summer; 4(2). 155 Kim J. A., Szatmari P., Bryson S. E., Streiner D. L., Wilson F. J. The prevalence of anxiety and mood problems among children with autism and Asperger syndrome. 2000; 4(2); 117-133. 160 Rajanna B., Hobson M. Influence of mercury on uptake of [3H]dopamine and [3H]norepinephrine by rat braisynaptosomes. Toxicol Lett 1985; 27(1-3): 7-14. 176 Carlsson M. L. Hypothesis: is infantile autism a hypoglutamatergic disorder? Relevance of glutamate – serotonin interactions for pharmacotherapy. 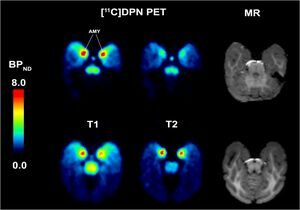 J Neural Transm 1998; 105(4-5): 525-535. 179 Leboyer M., Philippe A., Bouvard M., et al. Whole blood serotonin and plasma beta-endorphin in autistic probands and their first-degree relatives. Biol Psycatry 1999; 45(2): 158-163.